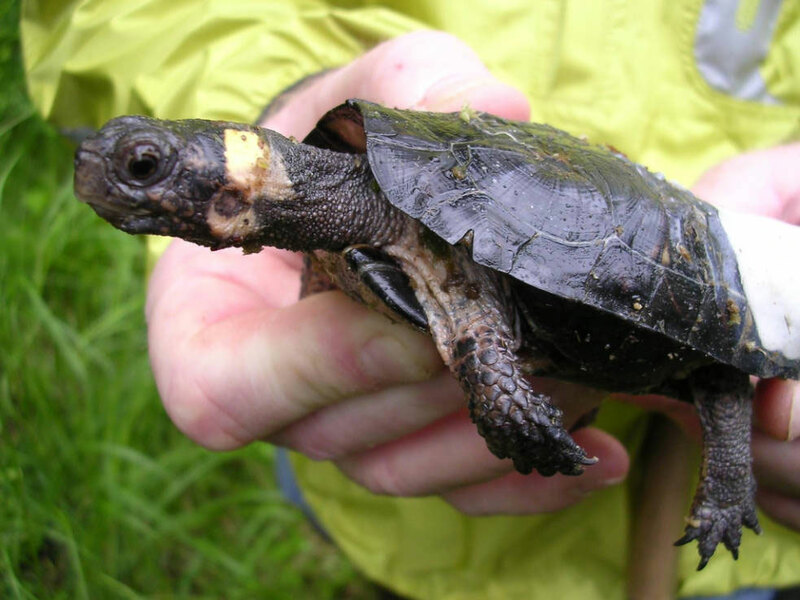 Bog turtles (Glyptemys muhlenbergii) are the tiniest North American turtle. 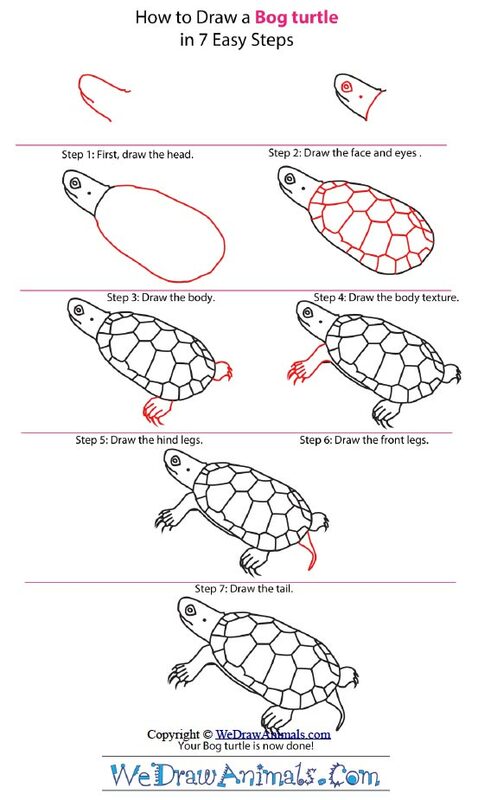 Their brown or black carapace (shell) is only about 11 cm (4 inches). You can identify them by yellow patches on the side of their heads. 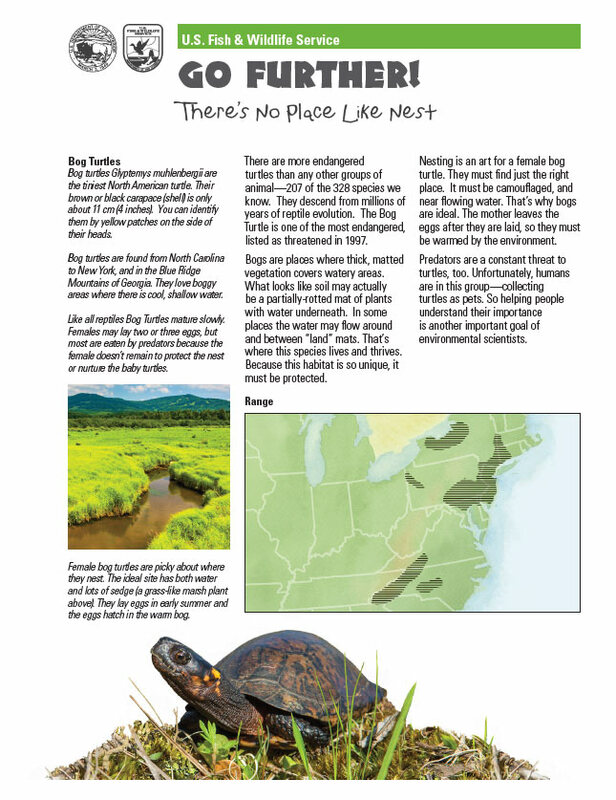 Bog turtles are found from North Carolina to New York, and in the Blue Ridge Mountains of Georgia. They love boggy areas where there is cool, shallow water. 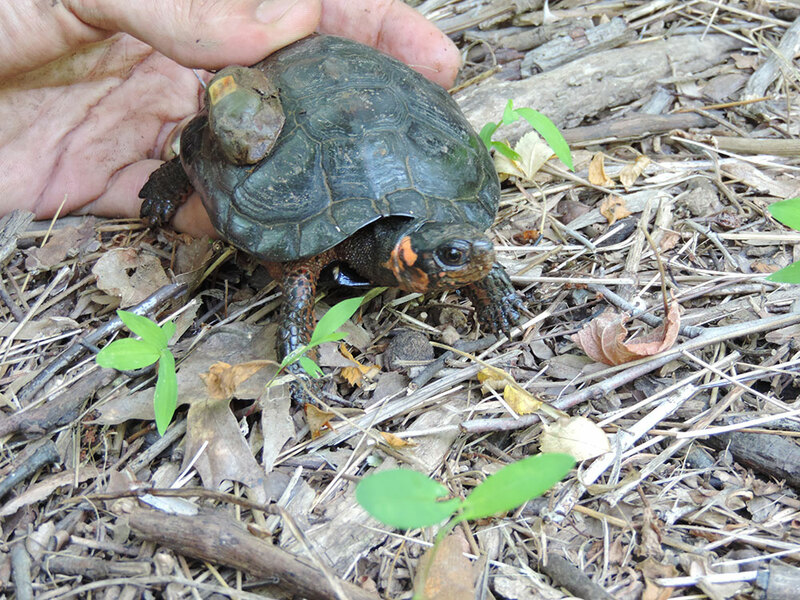 Like all reptiles Bog Turtles mature slowly. 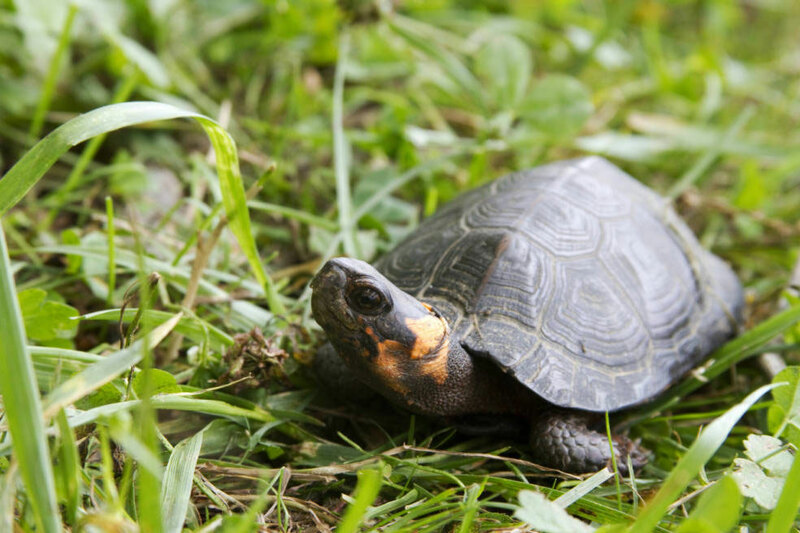 Females may lay two or three eggs, but most are eaten by predators because the female doesn’t remain to protect the nest or nurture the baby turtles. 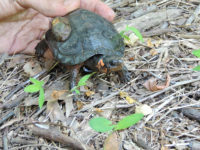 Female bog turtles are picky about where they nest. The ideal site has both water and lots of sedge (a grass-like marsh plant above). 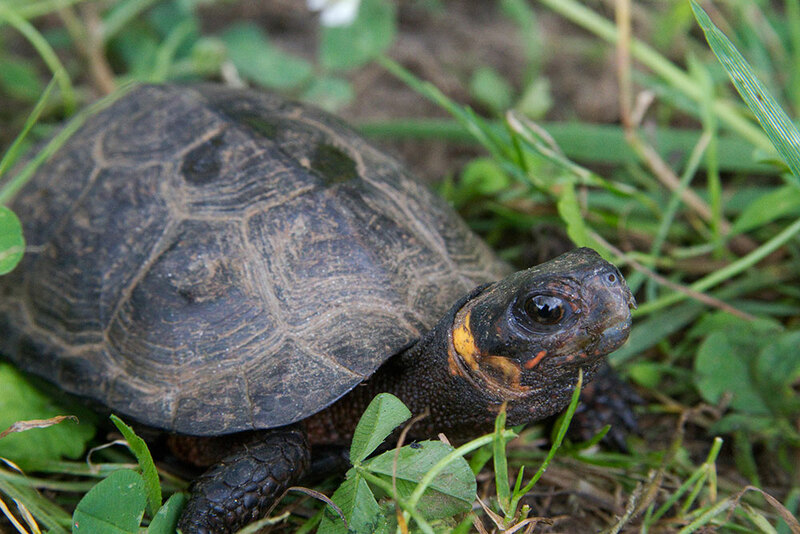 They lay eggs in early summer and the eggs hatch in the warm bog.